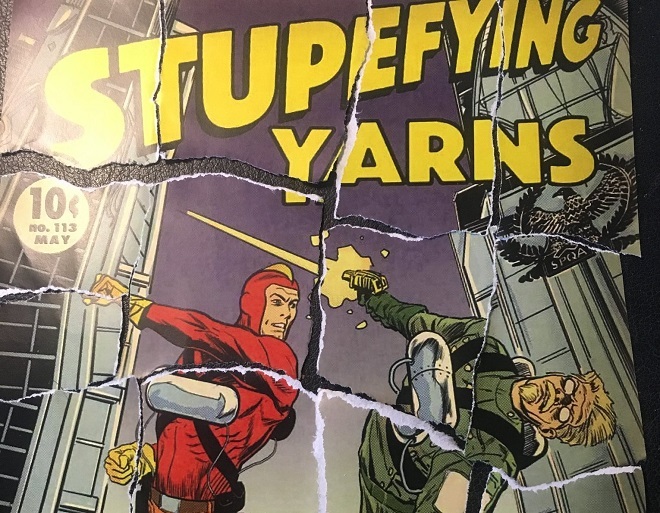 Stupefying Yarns from the Golden Age comic publishers is a new comic with which they are coming back into this line of work. 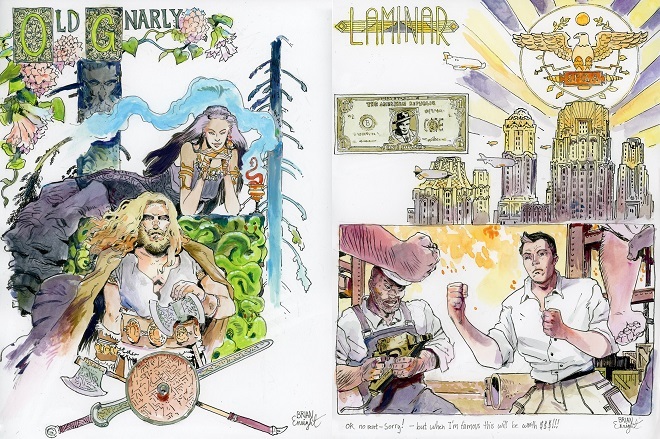 Recently, many members of the comic press received envelopes in their mail reading. “Earlier this summer, a vintage SY cover — not advertised as such — was sold at an estate auction for $34,000.00 to a man in a pinstripe suit. An intrepid Yarnie found the contents of this envelope in a neighbor’s garbage can the next day.” It had some fragments of a paper in it which led to the completion of a puzzle. Let’s see what message they deliver. Many other superheroes like “The Mighty Thor’Ax, warrior of Old Gnarly” and “Strate and Flush, our nation’s greatest spy catcher” are on the flier. It is also mentioned on Delta. Therefore, the description of Delta is as a “Hero of science” on the flier. Further this brings excitement to this flier is that it contains a link at the bottom which will lead you to a website. The domain is not available by an easy search. What will really catch your attention is the back side of the cover. Which contains an ad for the Grunbaum Academy of Art. There will also be a zip code for Pasadena and California, where this Academy is located. This is an ad for the young and rising artist, whom would like to show their talent and work. Furthermore, there is even a chance of employment if the work is outstanding. In the same handwriting as the postal code, you will find a name written “next: Brian diffracted”. If you search Google for this phrase, it will take you to a website about Brian Enright, who has been missing for the past 2 years. There’s no information about the person who registered the website. We look differently at Johnny Delta on the website then we see on the torn cover. All of this is a complete mystery, the kidnapping of Enright might be linked to “they”, who might be trying to silence the truth about the stupefying yarns. Well, we still haven’t dug deep into the mystery but if one of you run into any clue feel free to hit us up.